Rugged Stainless Steel Heavy Duty Construction. 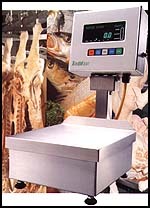 TrimWeigh scales were designed for heavy duty use in wet, corrosive environments which require frequent washdown... ideal for meat, poultry, fish, or dairy applications. All interior parts are protected including the stainless steel, NEMA 6P hermetically sealed load cell. Fairbanks Scales offers today's industries one of the most durable, easy-to-use, low maintenance and economical series of bench scales ever. The Eclipse Series is a versatile product line that can be customized to meet a broad range of general purpose weighing applications for items up to 200 pounds. Speed... The CW-40's responsive LED digital weight readout and status indicators are fast enough for even the most seasoned operators. Advanced circuitry allows weight readings at up to 12 per second for quick response in high-speed checkweighing situations. 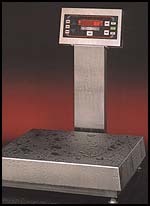 The digital load cell technology used in these scales is exclusive to Mettler Tolledo products. It's the next generation beyond conventional load cells. 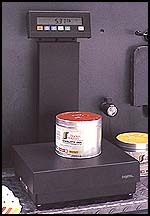 Mettler Toledo's DigiTOL load cell contains its own microprocessor... thus is a self-contained weighing system. Both the force of measurement circuit and the digital processor are contained in the DigiTOL load cell. Digital processing within the load cell virtually eliminates signal corruption and error commonly found in conventional scales when analog signals are transmitted through connectors, cables and amplifiers. The Industry Standard for Dependability. 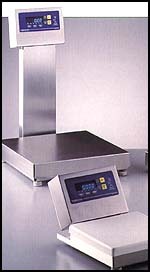 The Series 7 has long been known as the industry standard for dependability in bench scales. The unique Series 7 design protects the load cell from overload, high shock and twisting with its built-in overload stops and flexure protection system. 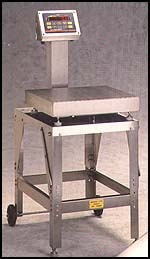 For 25 years, the Series 7 design has provided the market with the most durable bench scale available.